I love discovering stores in NYC – there are some places that haven’t changed for decades and are so specific with what they sell it’s amazing they still exist. The other day I went on a hunt to find tiny winter sport figures and ended up at an awesome model train store. If you live near a model train store definitely go check it out! You can also find them online – there’s a set for every activity or theme you can think of. 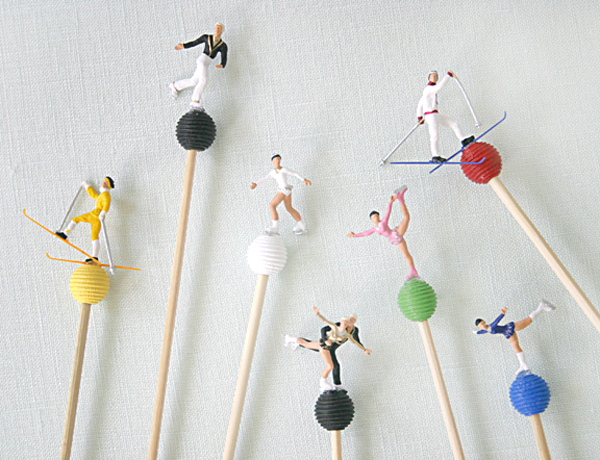 I used tiny skiers and ice skaters to make Winter Olympics drink stirrers – perfect to have in your drink while watching the games in Sochi! 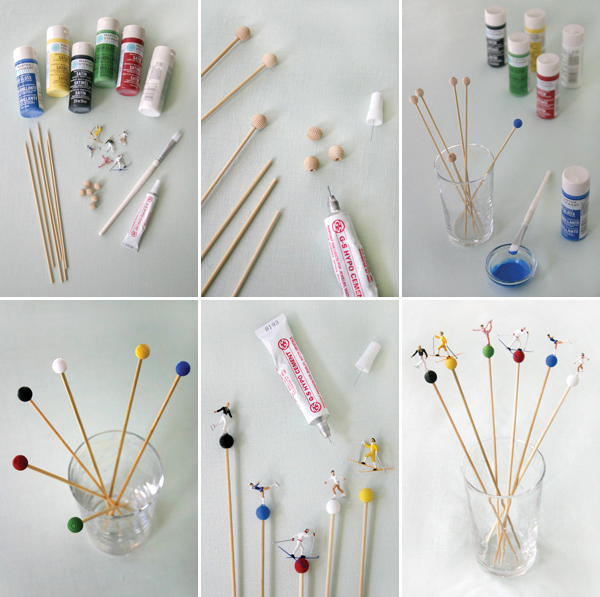 Materials needed: paint in Olympic colors (blue, yellow, black, green, red, and I added white for winter), wooden skewers , half inch wooden beads, paint brushes , hobby glue , and HO scale model train figures. Step 1: Glue beads to the end of the skewers and let dry. Step 2: Paint each bead a different color. Step 3: Let painted skewers dry. 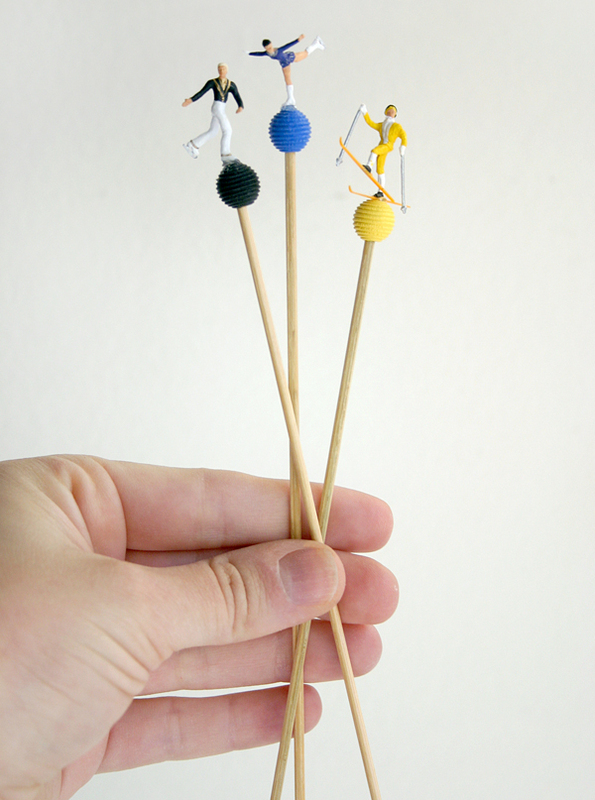 Step 4: Glue figures to the tops of the skewers. Put a tiny dab of glue on the top of the bead and hold the figure in place until dry. Step 5: Ready to swizzle! These are genius! Great idea! Ay yi yi those are adorable! Great idea. I have to decorate for the Scouts blue and gold dinner. The theme is the Olympics so this is great! My idea was to make a little platform with the rings sticking up along with a diffrent sport person for each table so this will be perfect for that! I was going to draw them all. This is a fantastic idea! 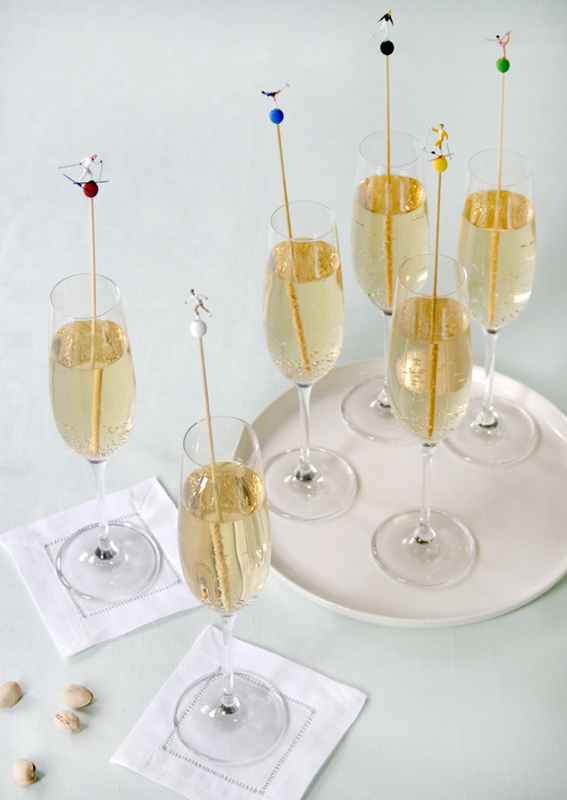 And, good timing–we actually just posted a how-to for hosting an Olympics viewing party today: http://www.theprettyguineapig.com/15942/hosting-olympics-party/ These drink stirrers would be a great edition to our list. I can’t wait for the Olympics–it’s such a great time for feeling a sense of community. Everyone watching, everyone cheering on the athletes. I cannot even handle how much I love these! We are nuts over the Winter Olympics and I’ve been wanting to do a little get together for them. This would be so adorable! These may be the single cutest Olympic idea I’ve ever seen. Anything “miniature” makes me instantly LOVE. ADORABLE! Oh, if only they could arrive to me here in Sweden quickly! Thanks for sharing! 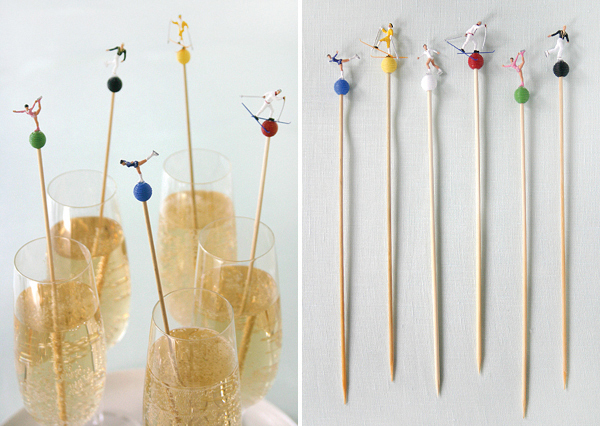 Such a lovely Olympic themed party idea. Yes, this is amazing! Now this will bring some smiles! Thanks for the idea! This is so cute! I love the Winter Olympics!